bit of a challenge this ... I want to knock through a load bearing ground floor internal brick wall supporting one further floor - span of 320cm, ending on a course of blockwork at each end (so hopefully the padstones can be seated on these rather than building up any piers). What elements are needed to calculate the RSJ spec... I guess its vertical and lateral load? Any clues on how to go about calculating that? Someone said to look at the size of the current joists and calculate from that but I'm unsure how to do that? You cant just go knocking holes in your walls, especialy as they are load bearing. These works are structural and come under building regulations. You first need a structural engineer to design and size the steels etc, all info to be shown to building control, who will need to come out to make sure every thing complies with building regs. That someone who told you its to do with the size of the joists is given you false info. Do it the correct way, involve b/c and s/e or you could be in trouble, especialy when you come to sell your house. 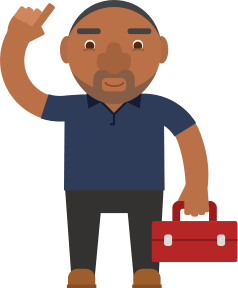 Post a job on MyBuilder to find quality, local Conversion Specialists who can help you with your project.